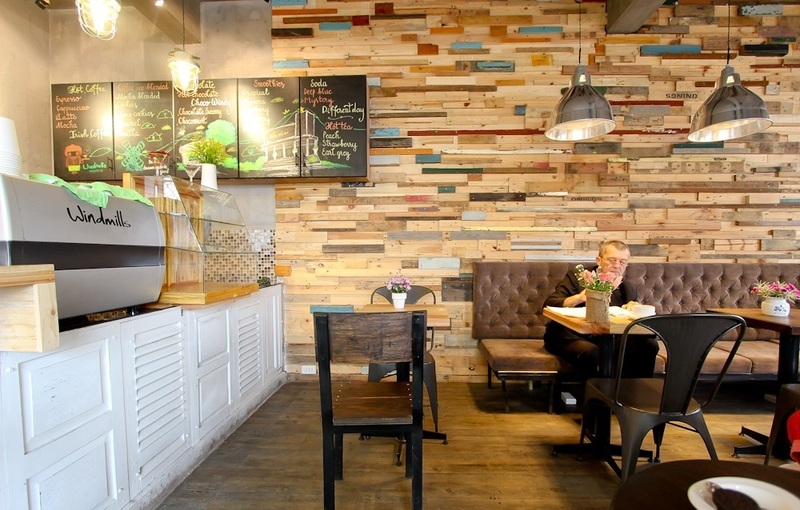 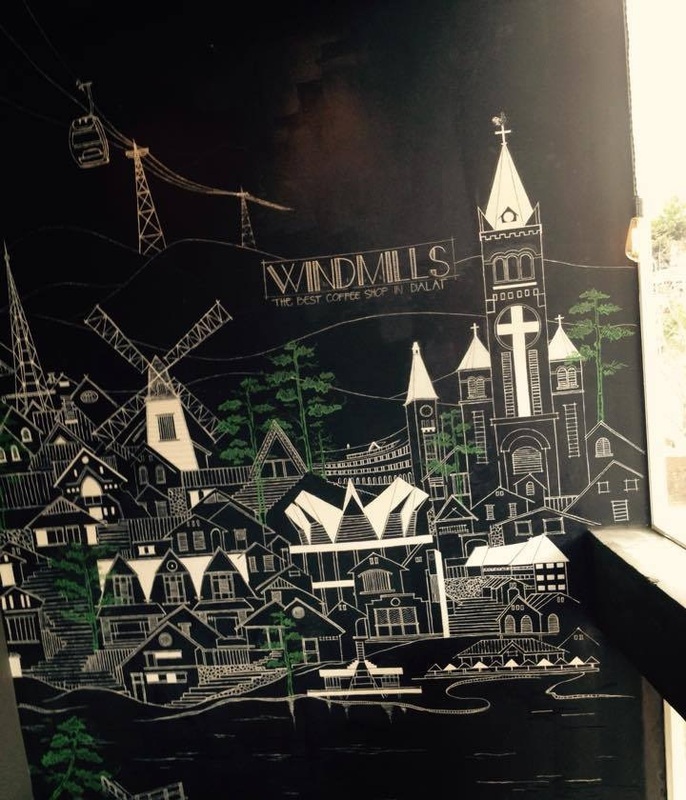 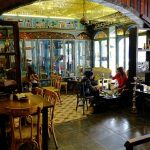 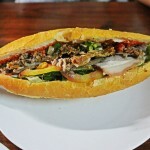 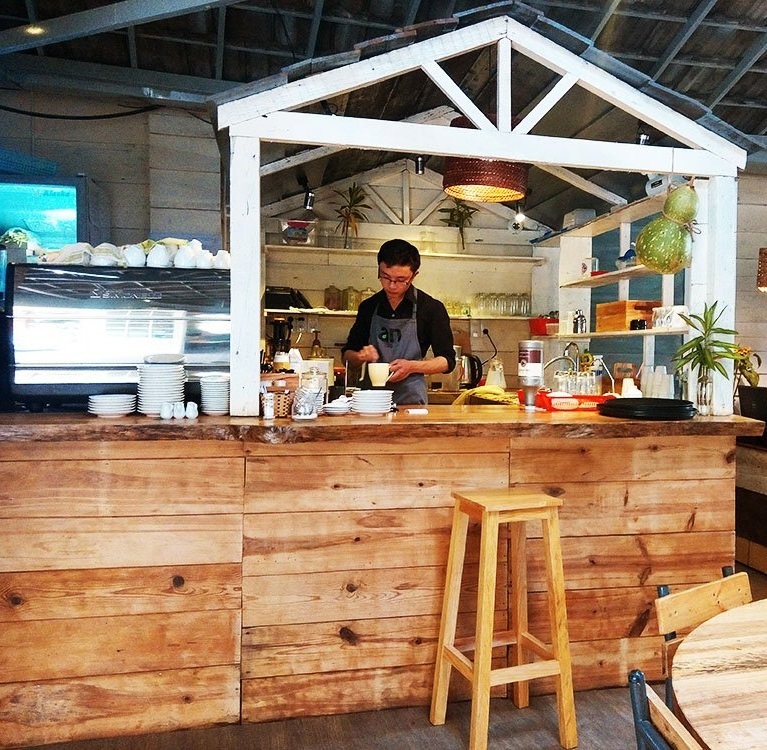 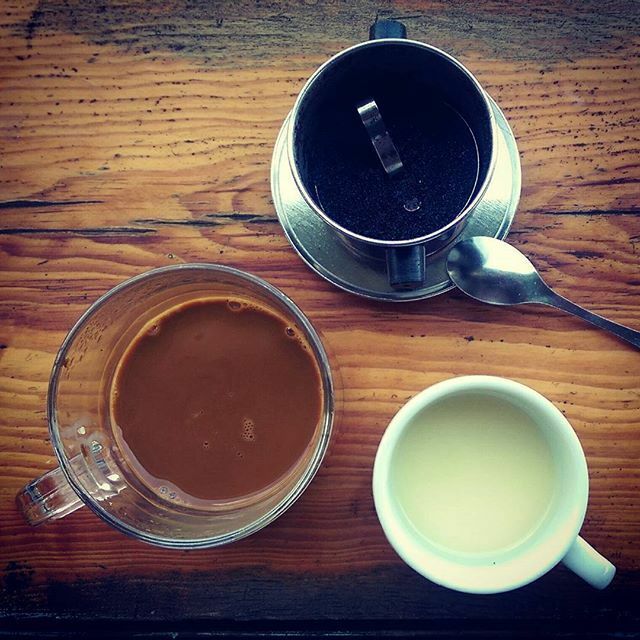 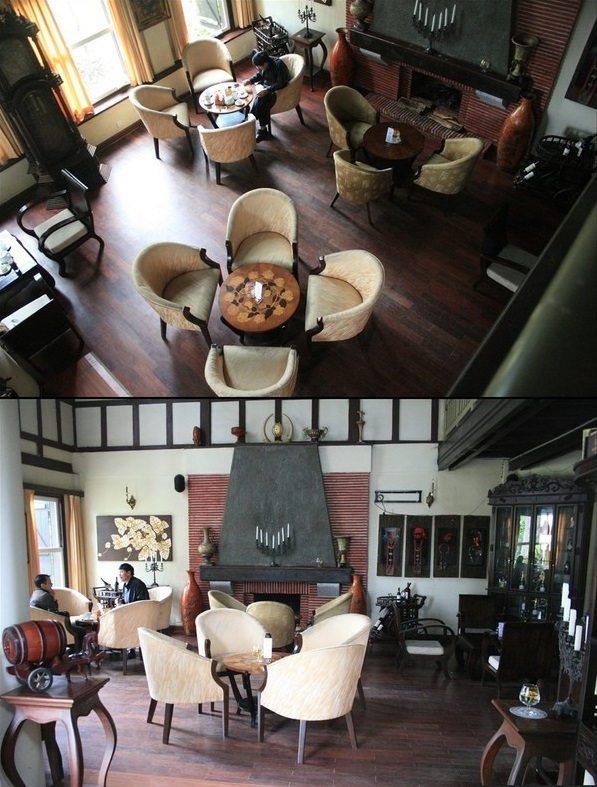 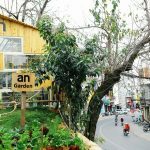 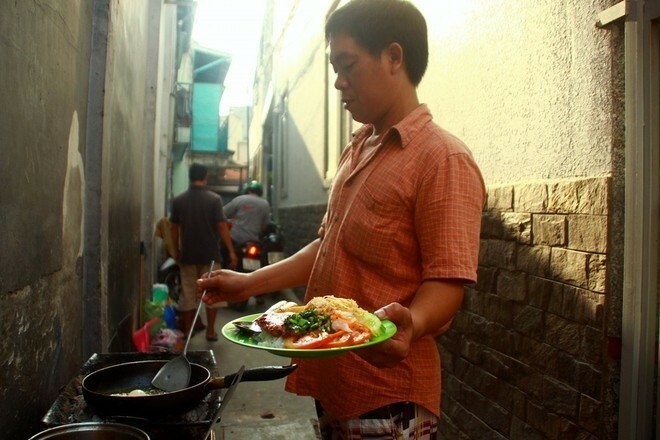 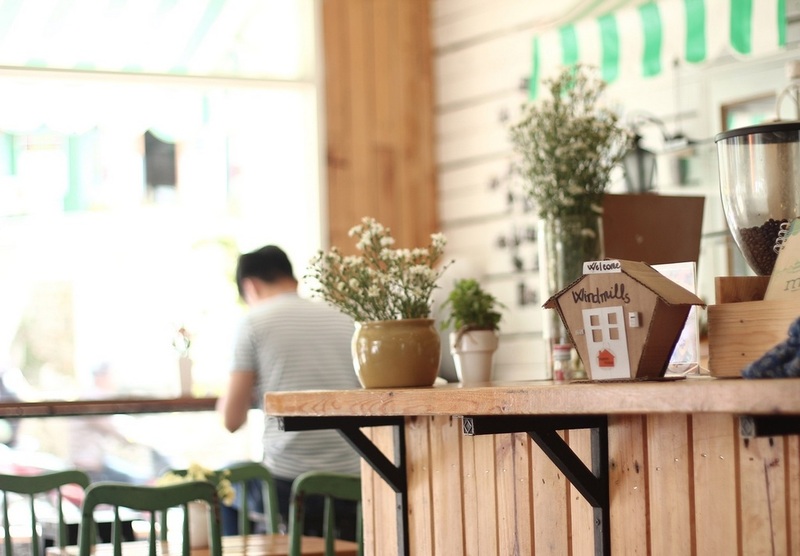 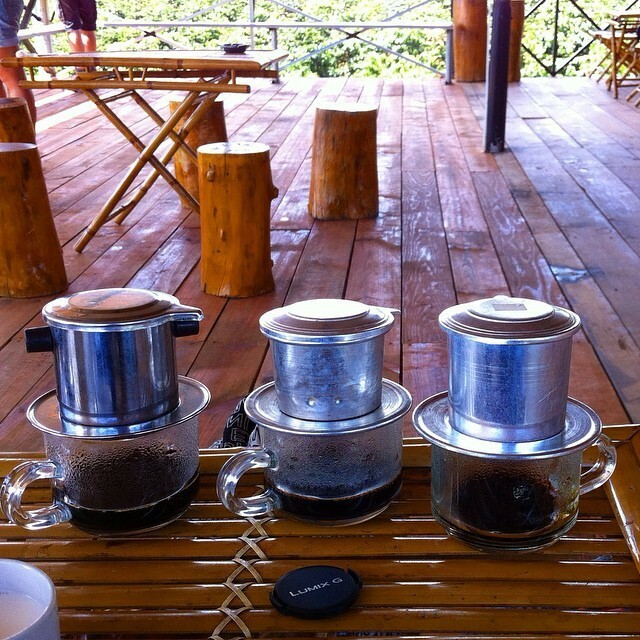 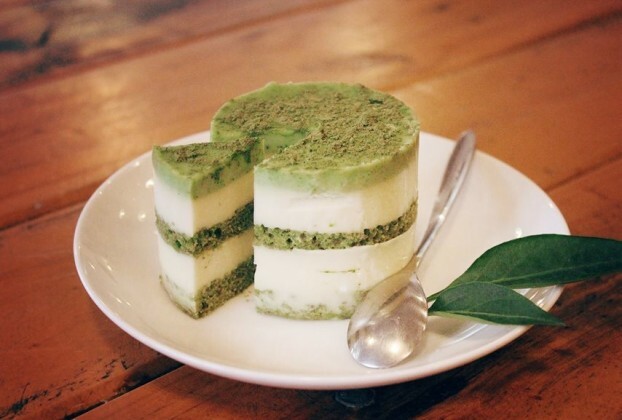 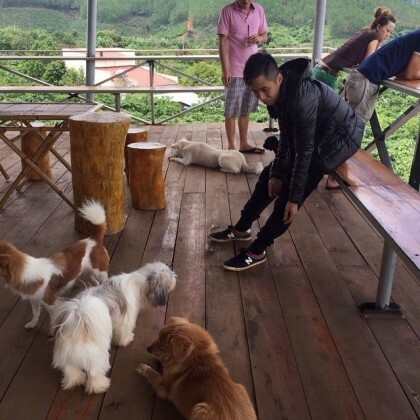 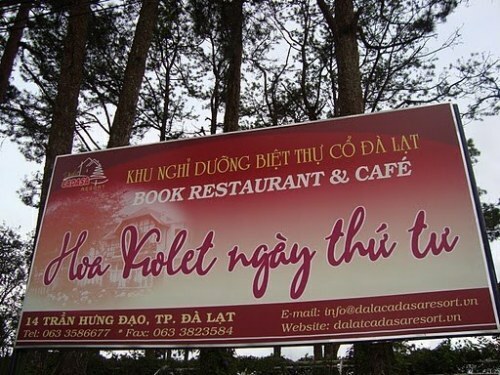 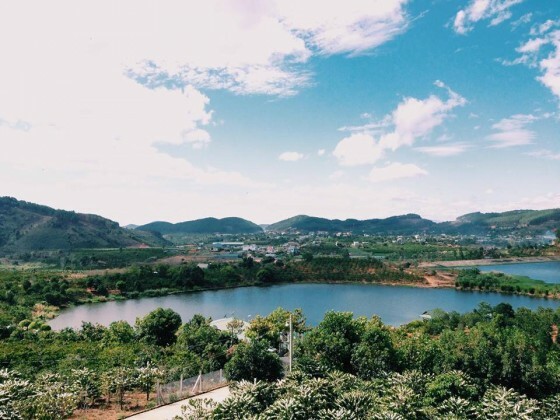 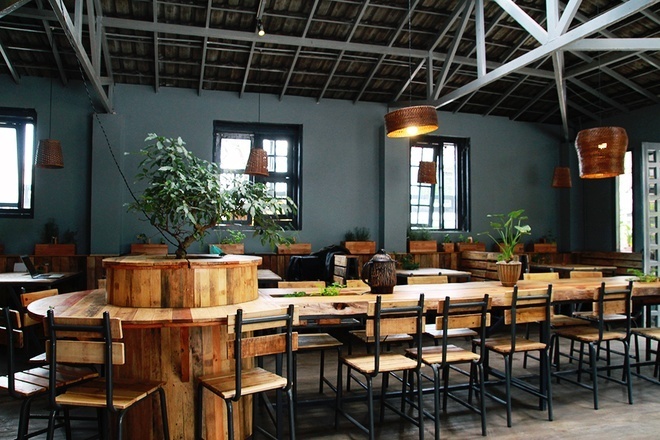 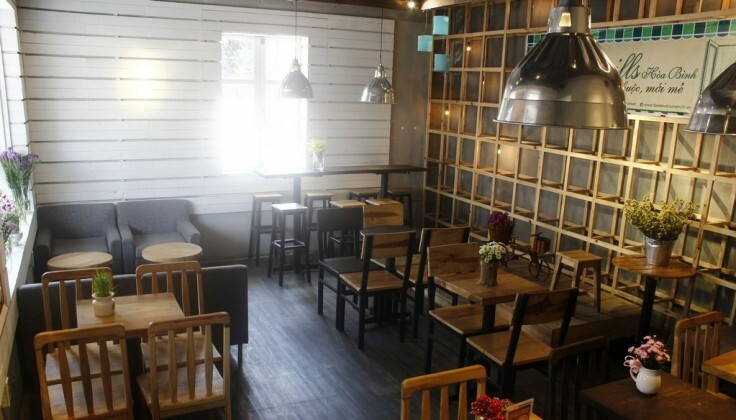 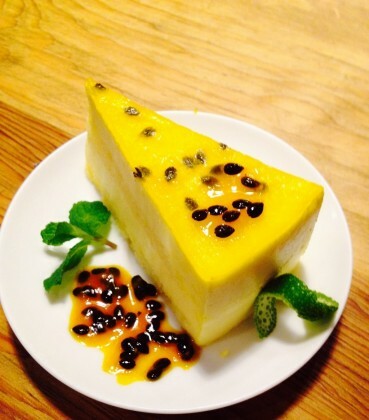 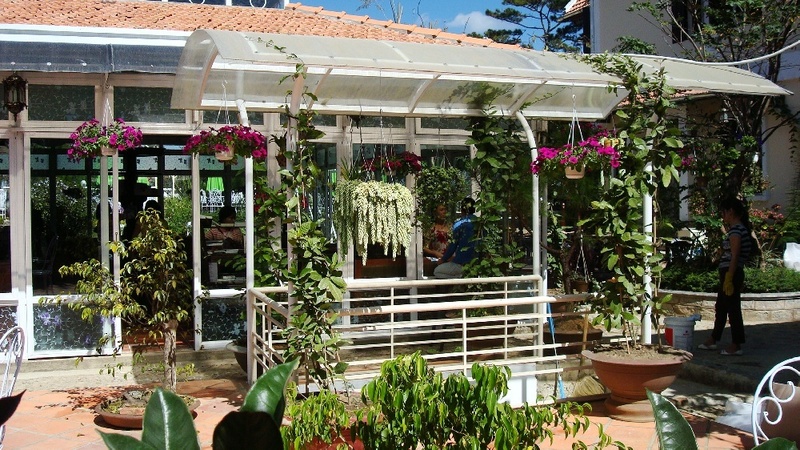 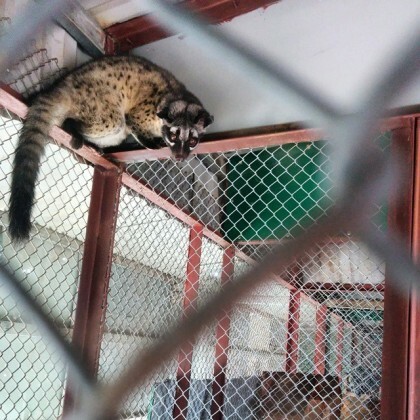 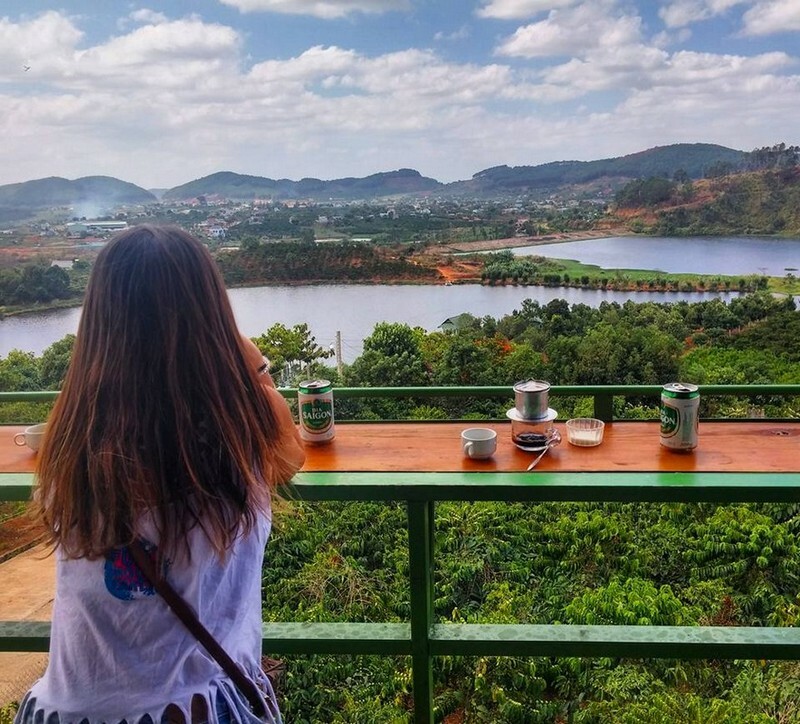 5 cool Dalat cafe's you should visit - Living + Nomads – Travel tips, Guides, News & Information! 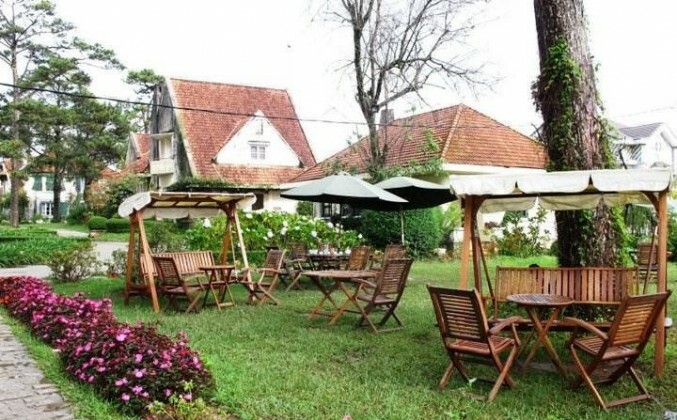 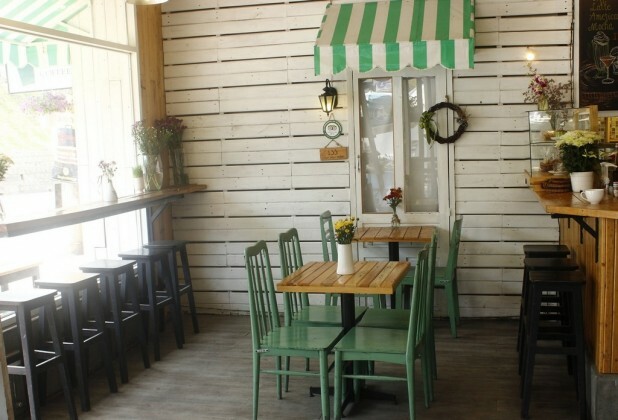 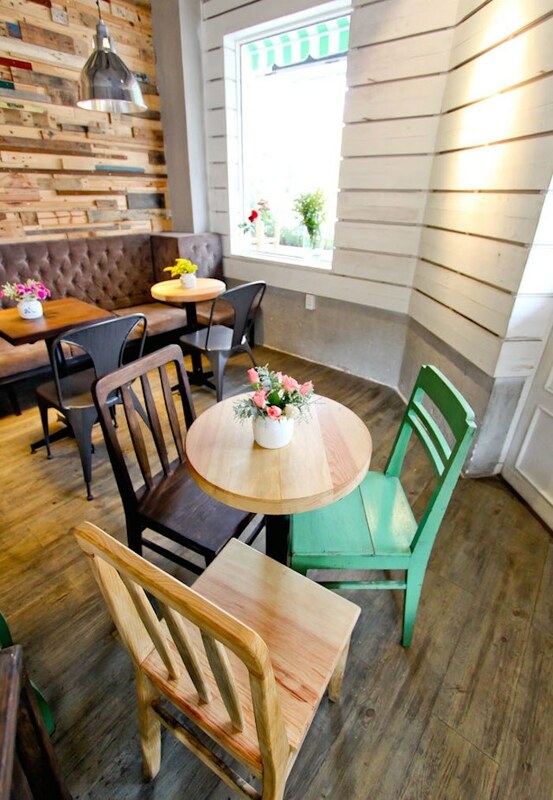 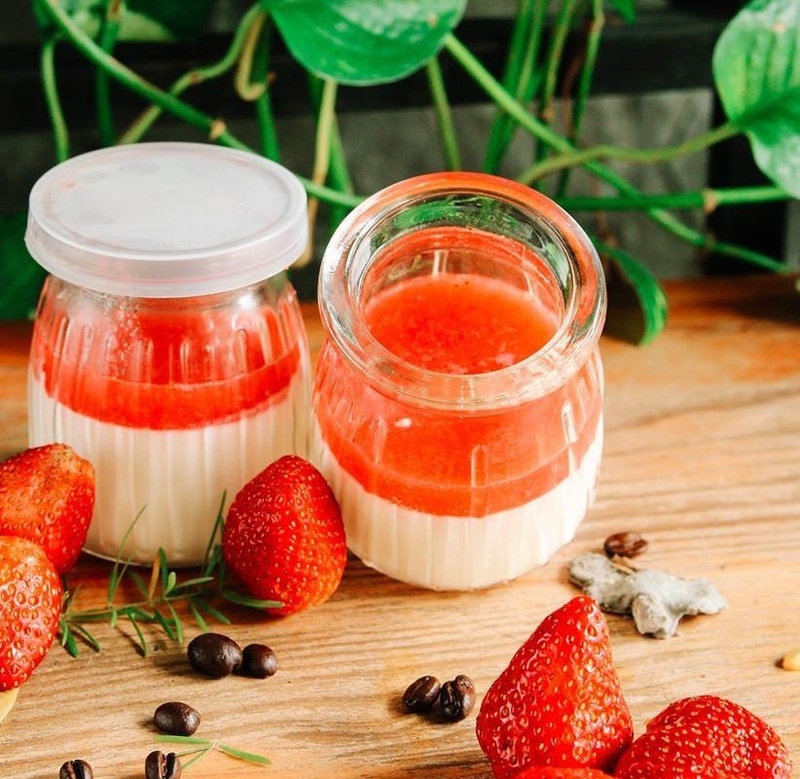 Lying aside the slope on street 3/2 (February 3rd slope), with an area of 200 square meters, An cafe is a great spot for those who love nature and want to find a place having rustic charm of Dalat. 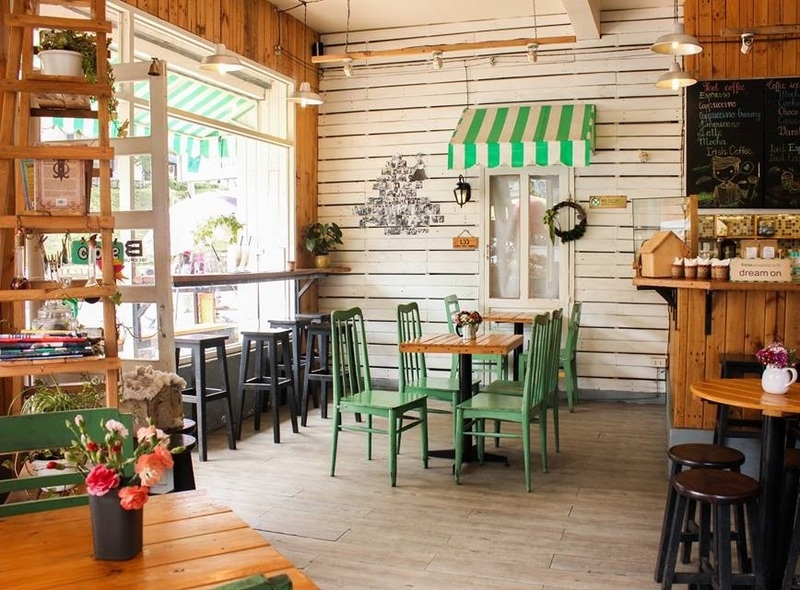 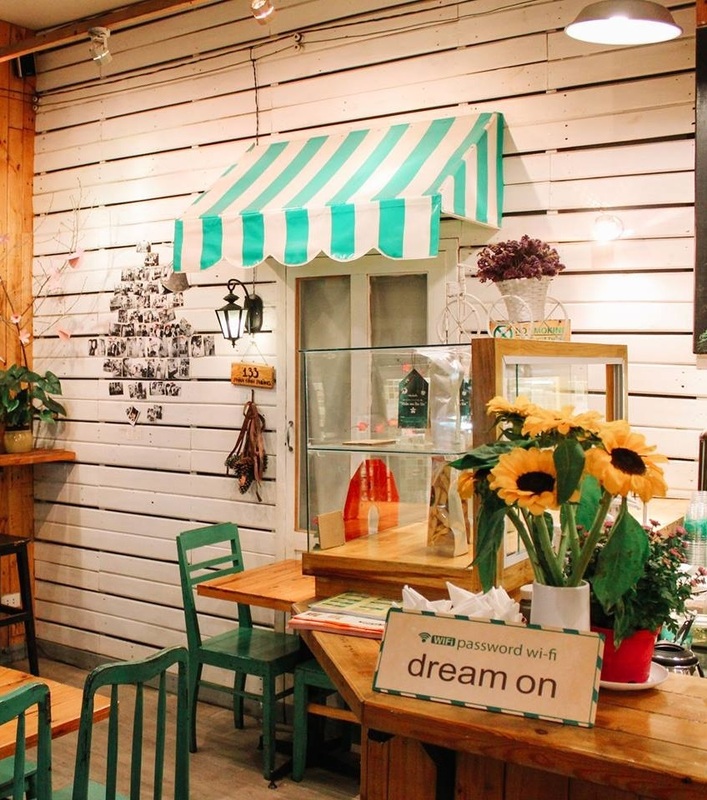 The most special thing in An cafe is that you can find all kinds of vegetables anywhere in the shops, from the tiny garden outside to the shelves, tables and the walkways. 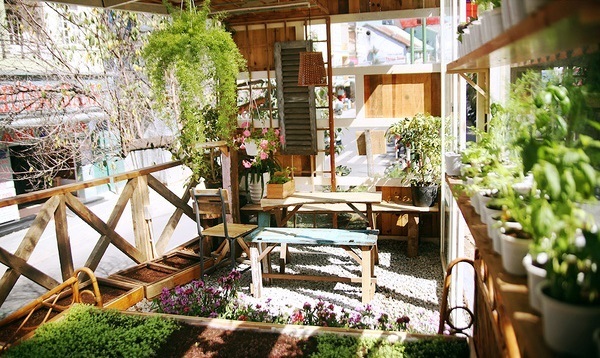 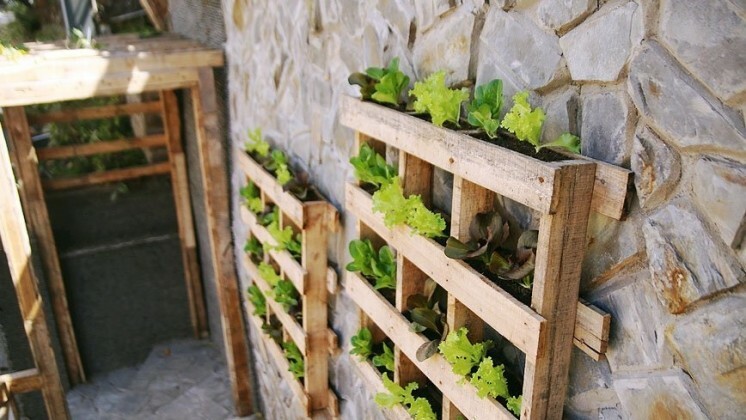 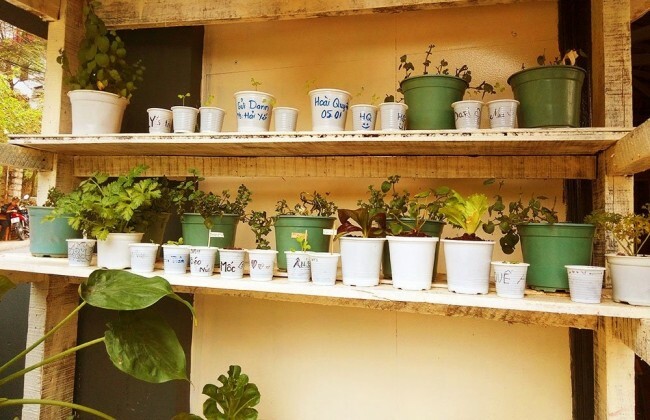 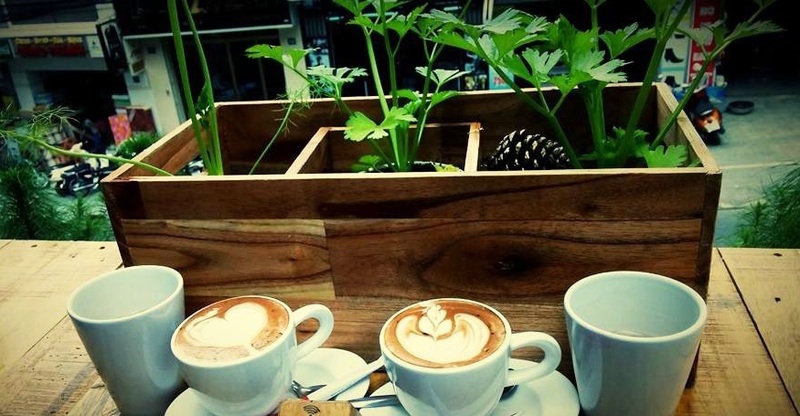 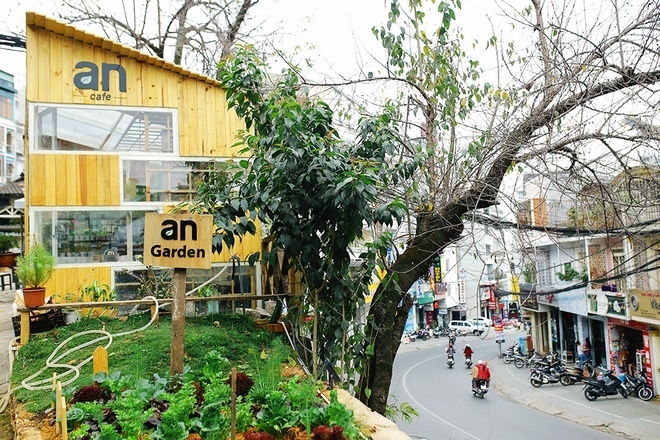 An cafe has an outside garden for customers to grow the vegetables with their own hands and learn more about them. 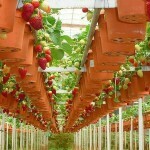 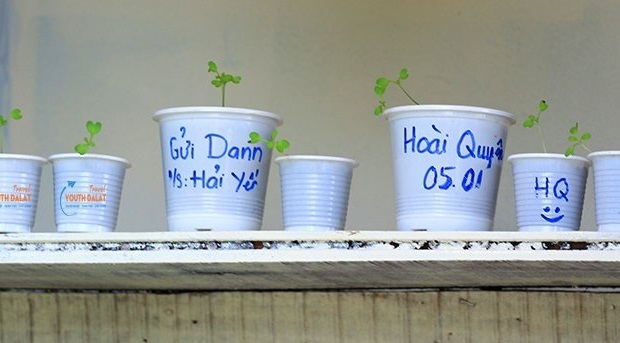 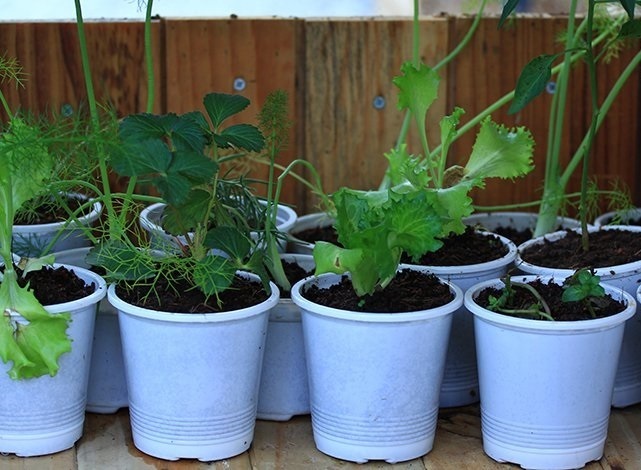 Especially, the shop’s customers can also grow vegetables in small pots and then write their names on the pots. 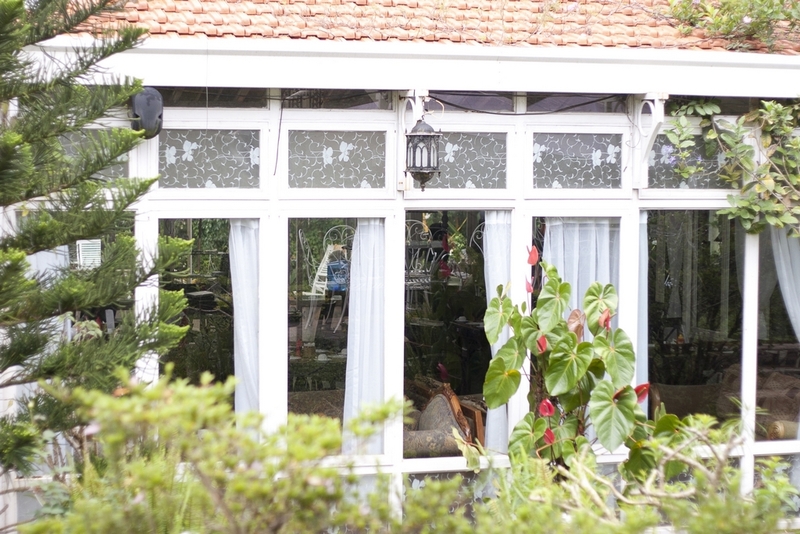 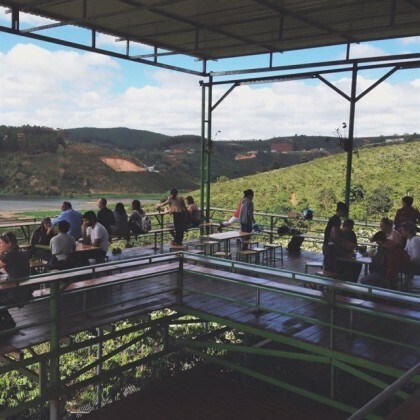 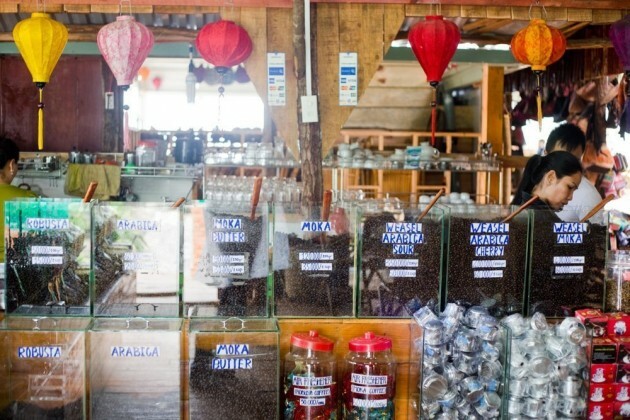 Considered as the coffee shops having best view in Dalat, Me Linh Coffee Garden is loved by many people, both locals and tourists. 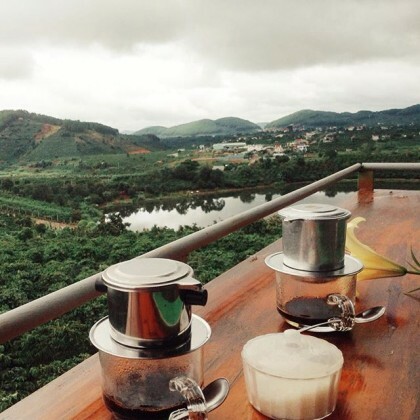 They choose this shop not only due to its quality weasel coffee (also known as ca phe chon) but also because of the nice and unique view. 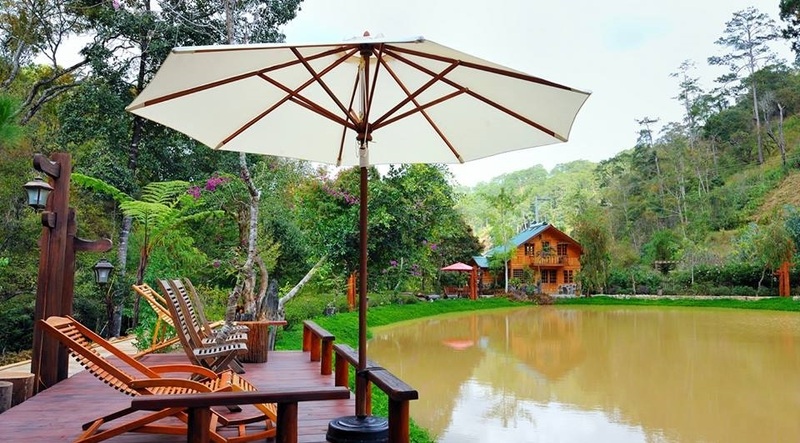 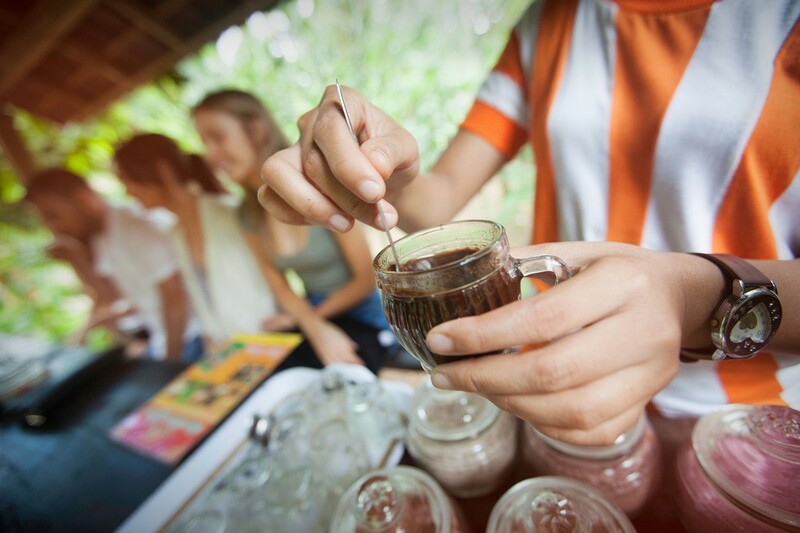 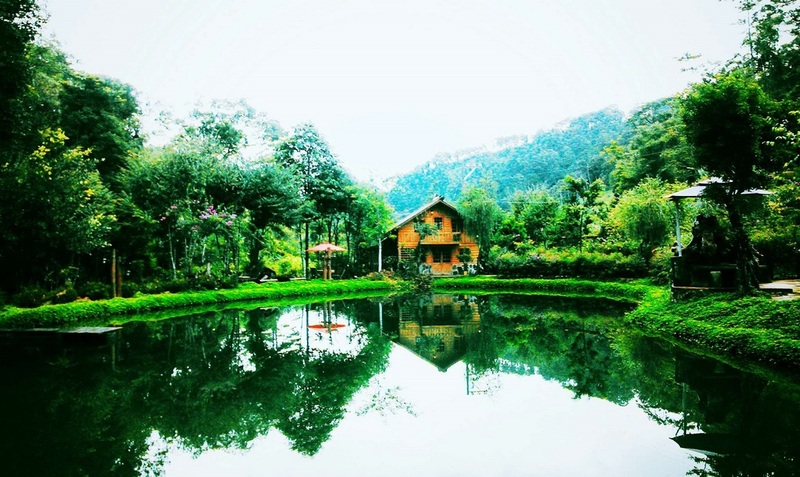 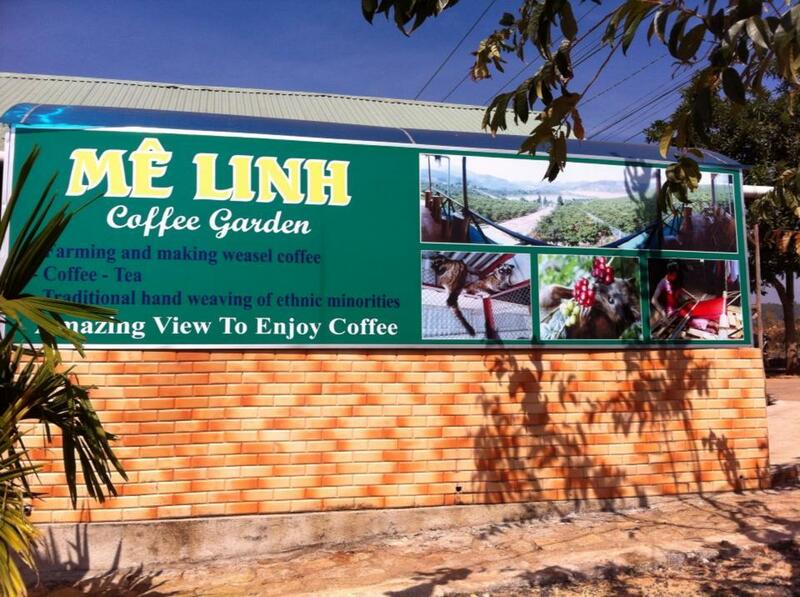 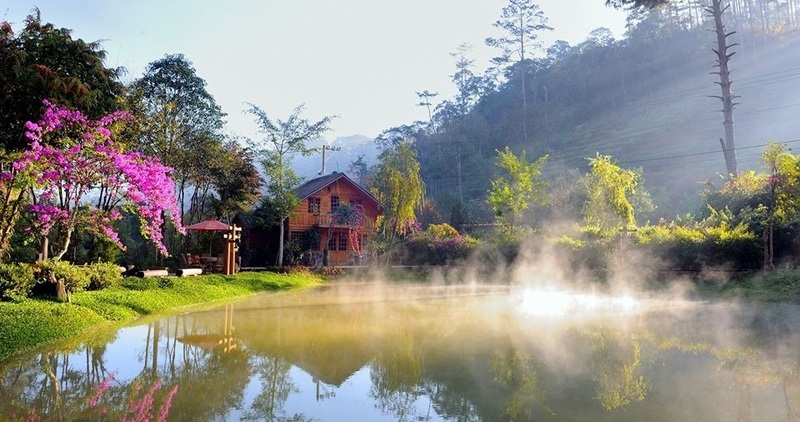 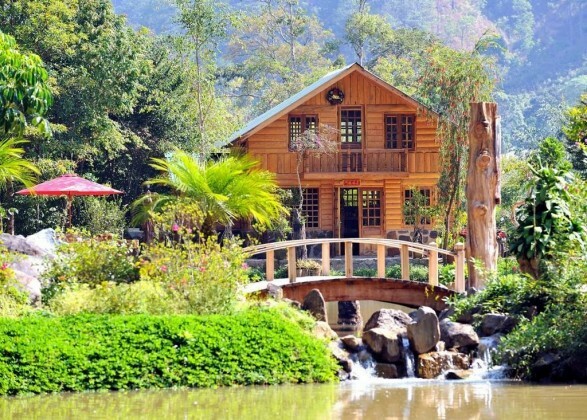 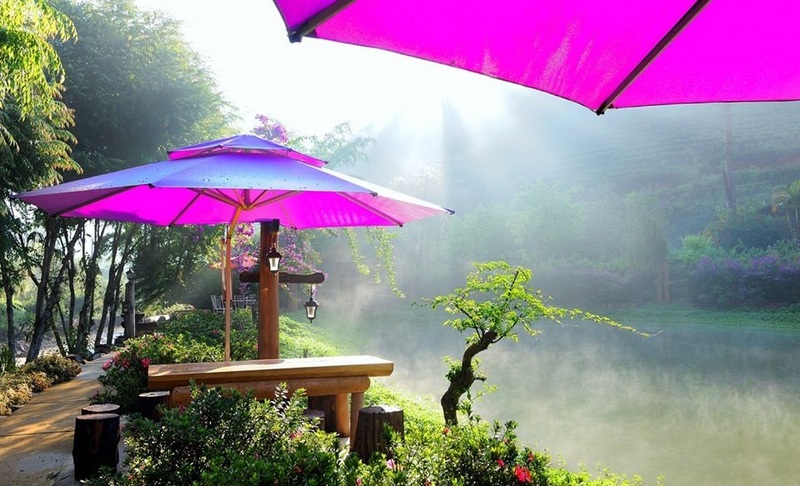 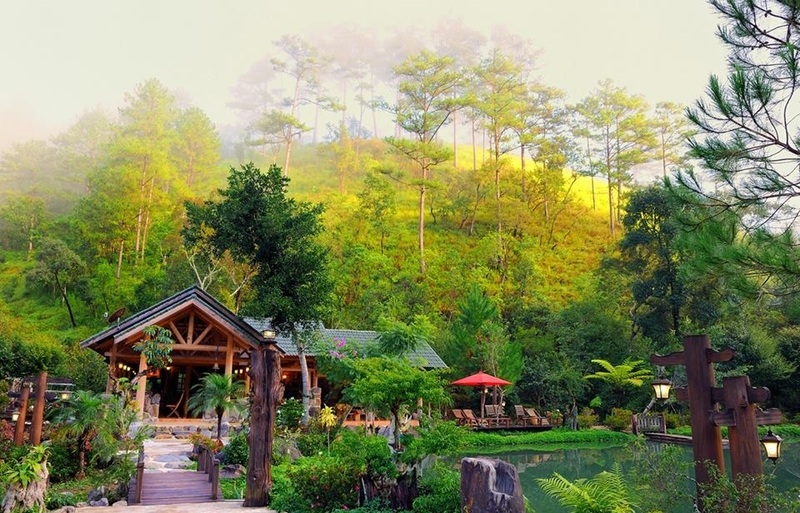 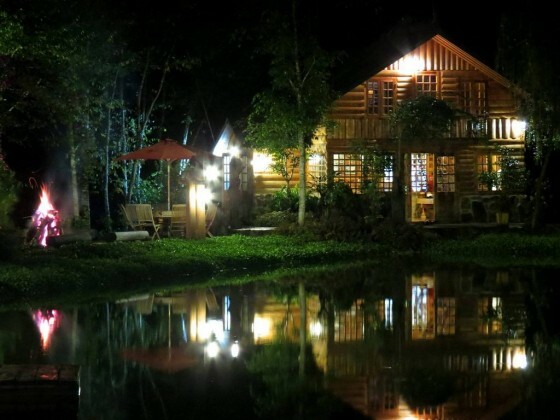 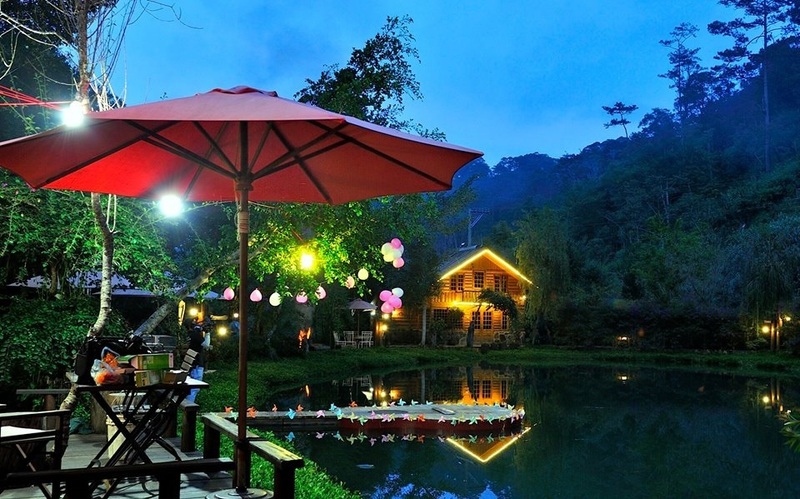 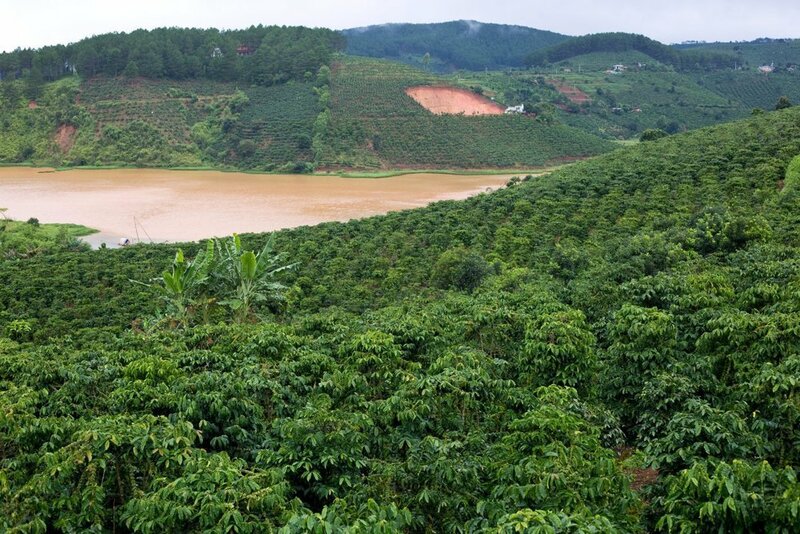 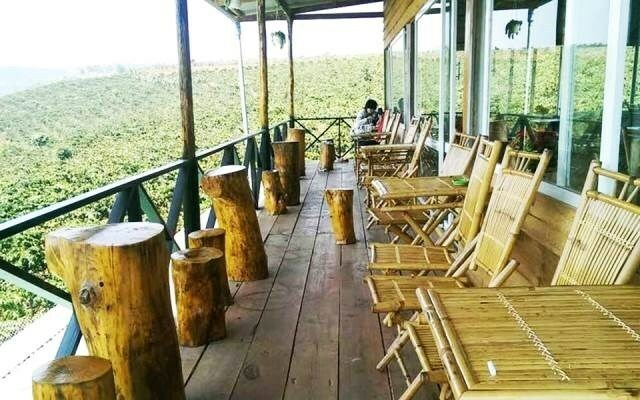 Me Linh Coffee Garden is especially designed to ensure you a full 360 degree vision with a small coffee farm at the foot of Me Linh Coffee Garden and the Cam Ly lake in front of you which was formed by a dam built on Cam Ly river. If you want to get to this shop, you need to pass 20 kilometers of road from Dalat city center, get through Ta Nung mountain pass, then turn to provincial road 725. 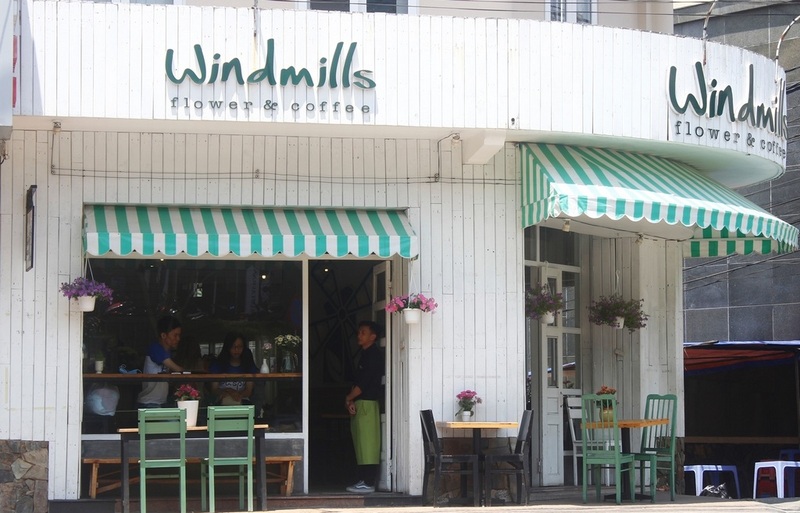 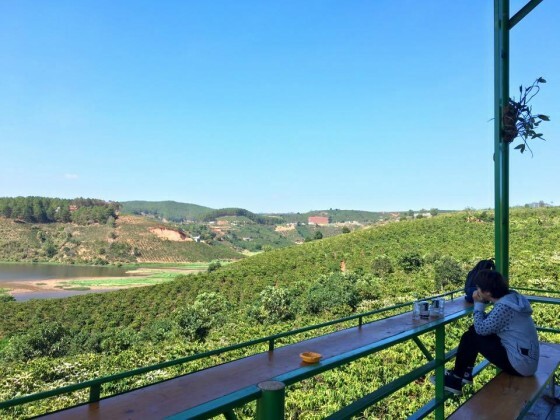 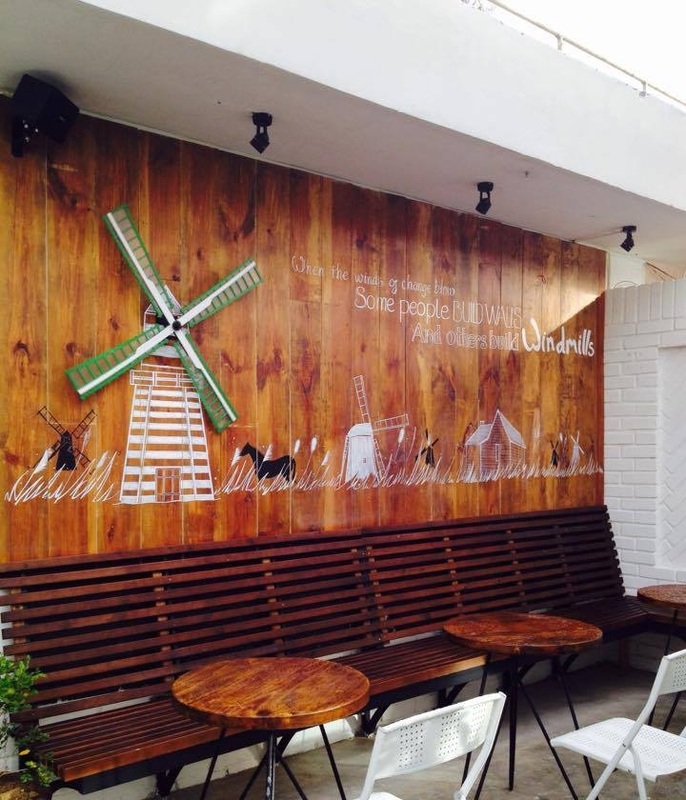 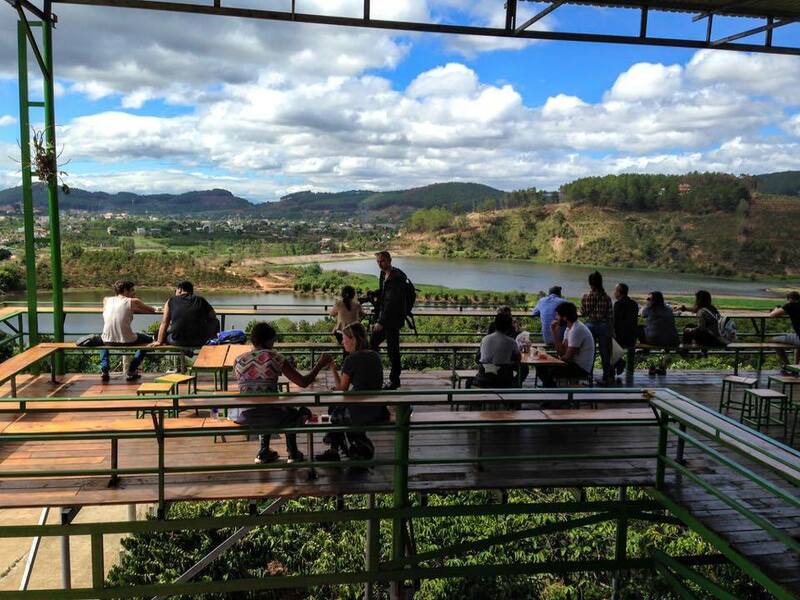 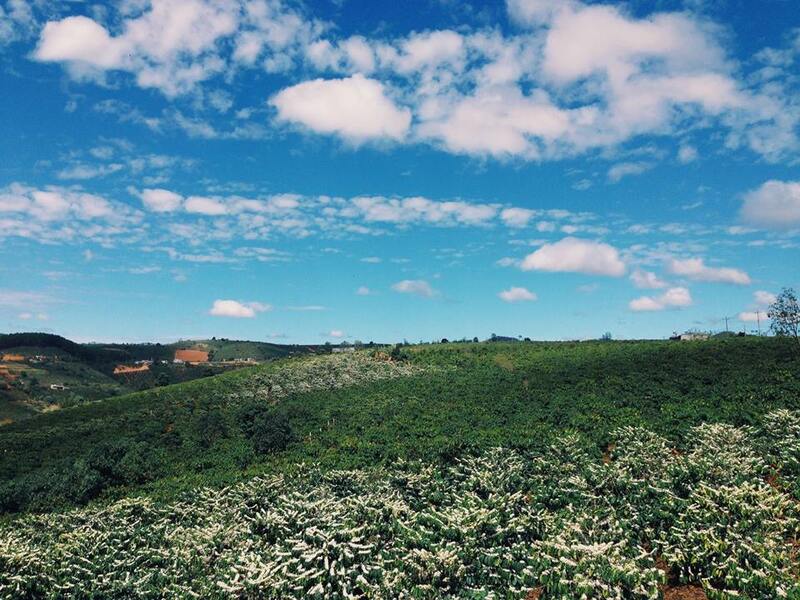 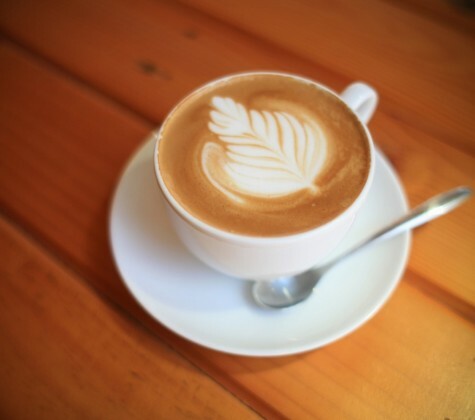 Having chance to come to Dalat and visit Windmills Coffee, you not only can find your own space but also can enjoy a cup of coffee with the finest coffee beans of this coffee land. 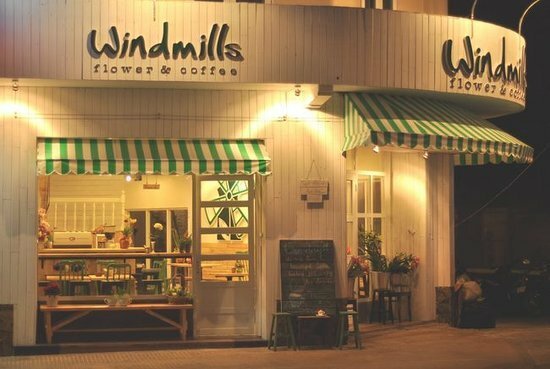 Most shops in the Windmills Coffee system are impressively decorated, a romantic place for coffee combined with flowers bringing the customers a warm cosy and peaceful feeling. 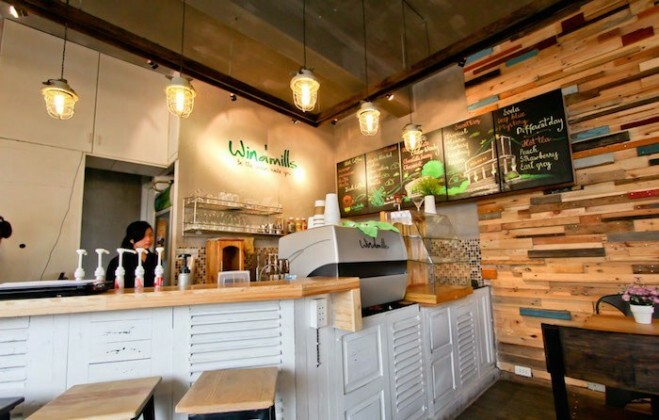 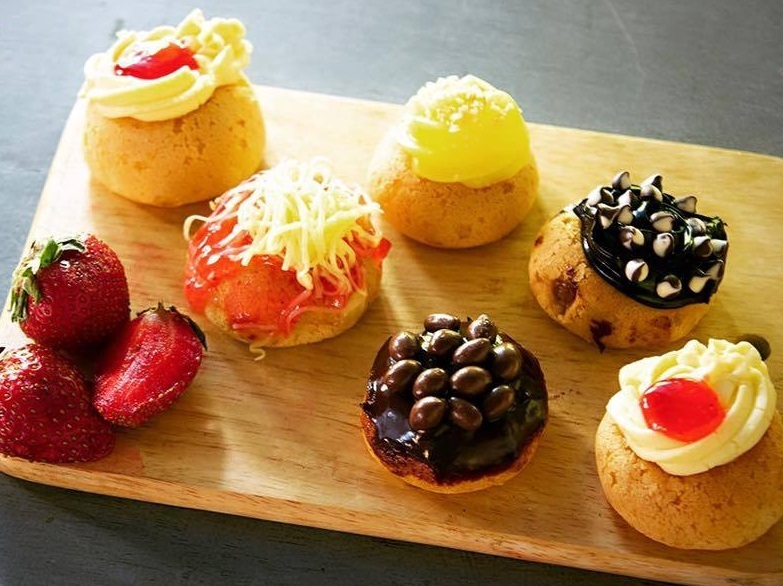 Aside from coffee, this shop also has many other types of drink like: Cappuccino, Blueberry Smoothies, Deepblue – Italia Soda,… which have received high evaluation from customers. 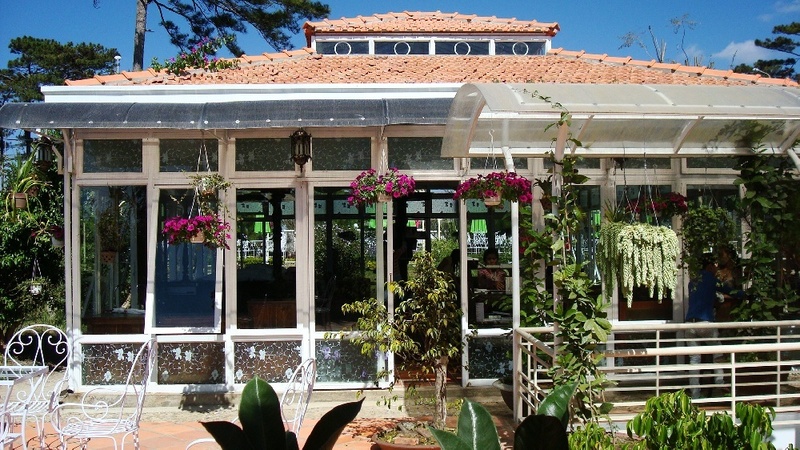 Standing at the Violet cafe gate which is full of paper flower (Bougainvillea), taking a step and coming inside, you will feel like you are lost in a European garden in the 18th century. 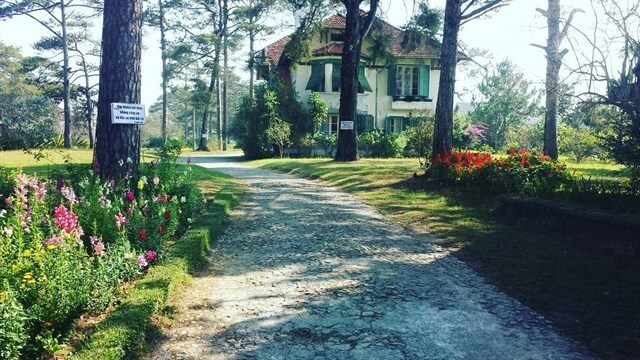 The space in this place is beautiful with the ancient villas, the green lawns, the paths which is full of flowers, the pine trees rejoicing in the wind. 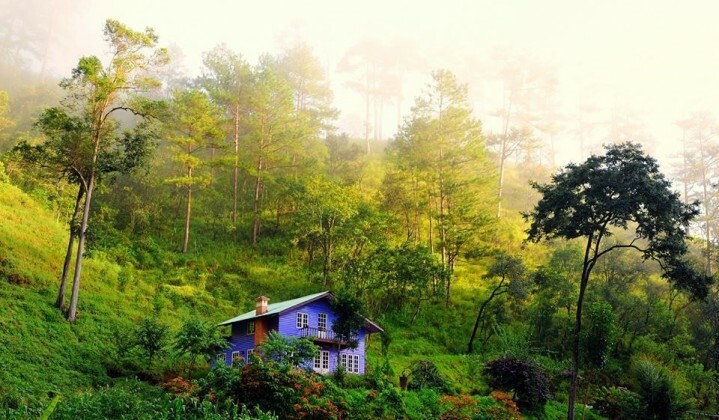 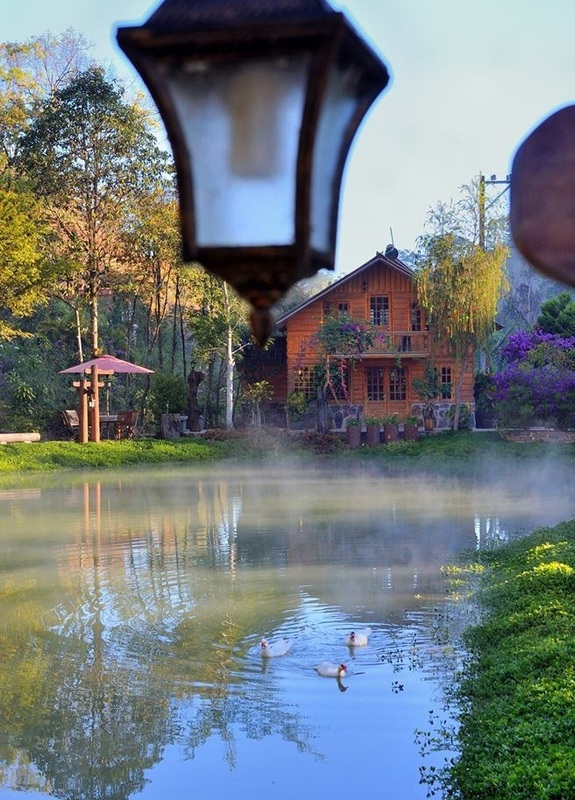 Coming here in the morning, you will immerse yourself in the nature with numerous flowers, the birdsong greeting a new day and the green garden. 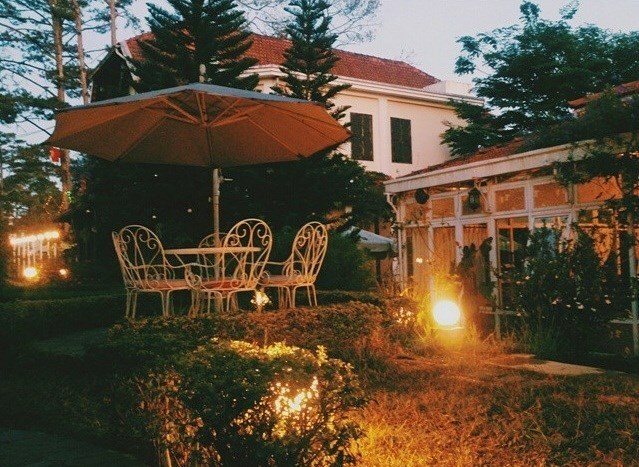 Coming here, you also get to hear the romantic love story between a soldier named André and Jennie – a beautiful singer… and there’s nothing better than sitting and drinking a cup of coffee with friends, lover to enjoy the special taste of the coffee from highland. 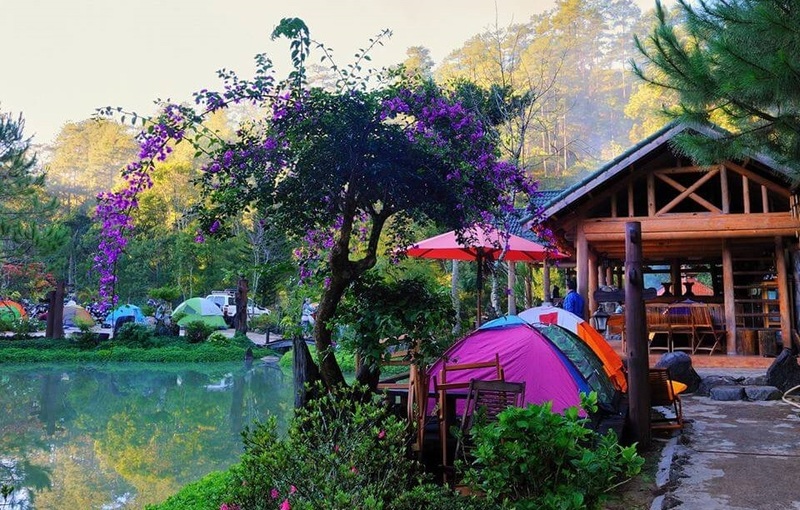 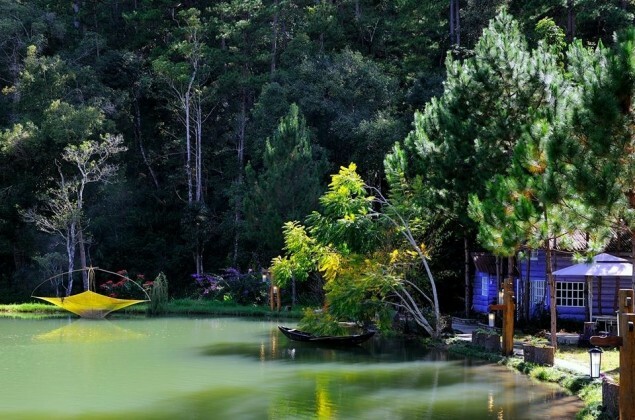 Ma Rung Lu Quan is located quite far from Dalat city center, from the city center, you will travel over 20 kilometers to get here. Take Tung Lam street, then go to the direction leading to Thung Lung Vang (Golden Valley). 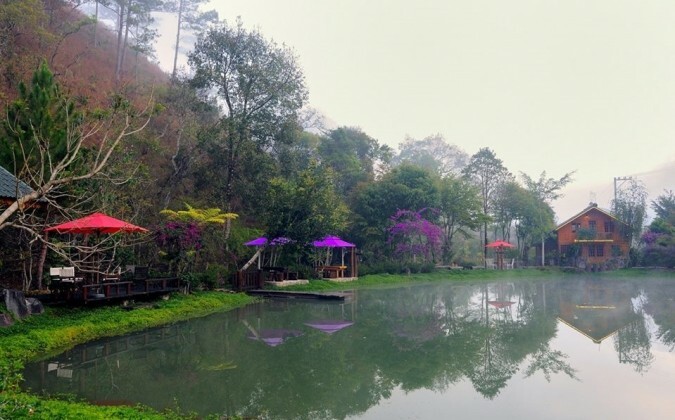 When you see a three-way crossroad (which can lead to Suoi Vang or Golden Spring), turn left, you will see a sign showing how to get to Ma Rung Lu Quan. 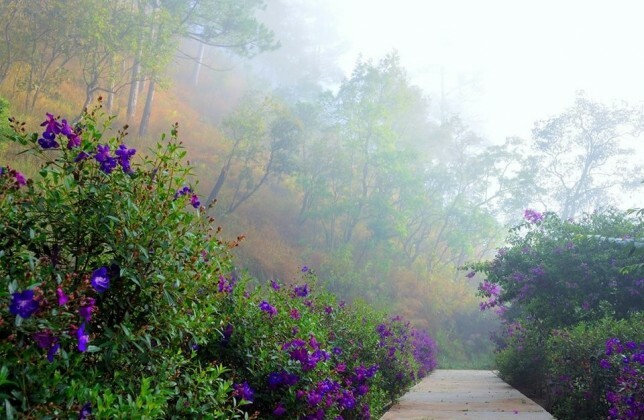 From here, you will have to travel 7 kilometers to get to Ma Rung Lu Quan. 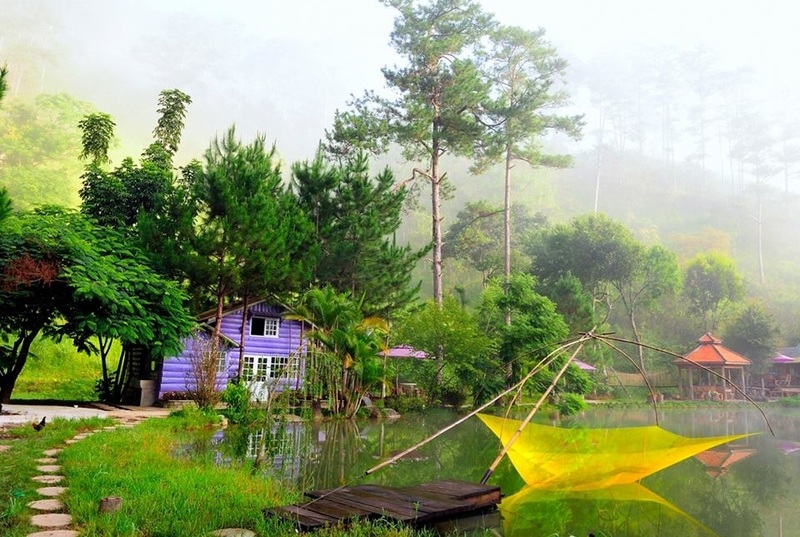 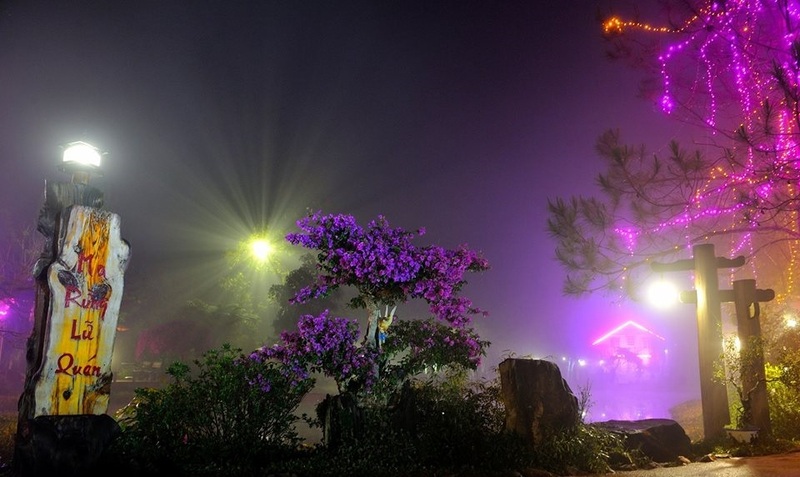 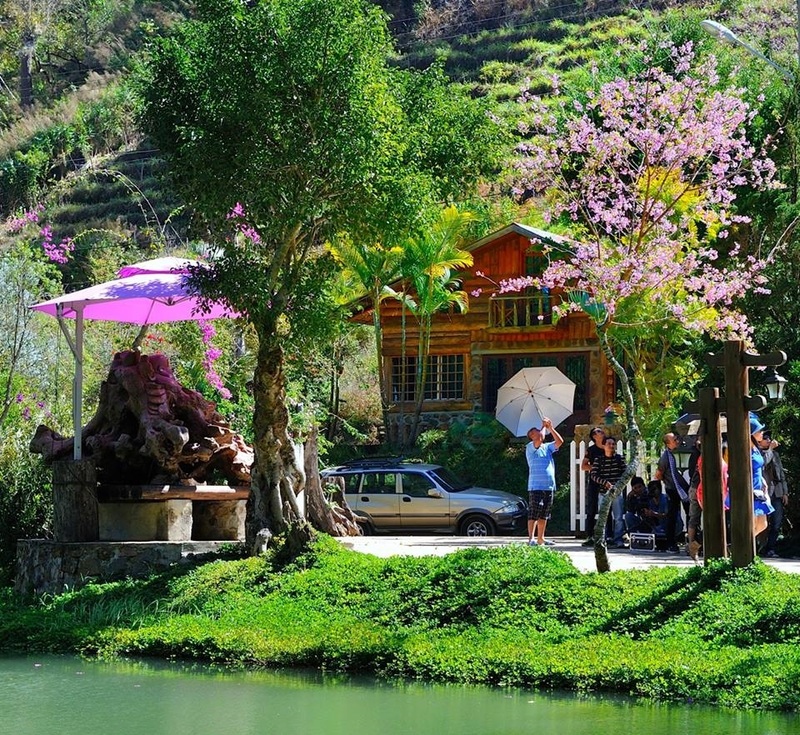 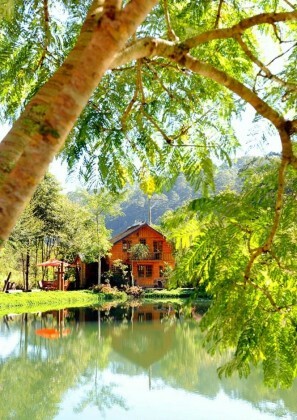 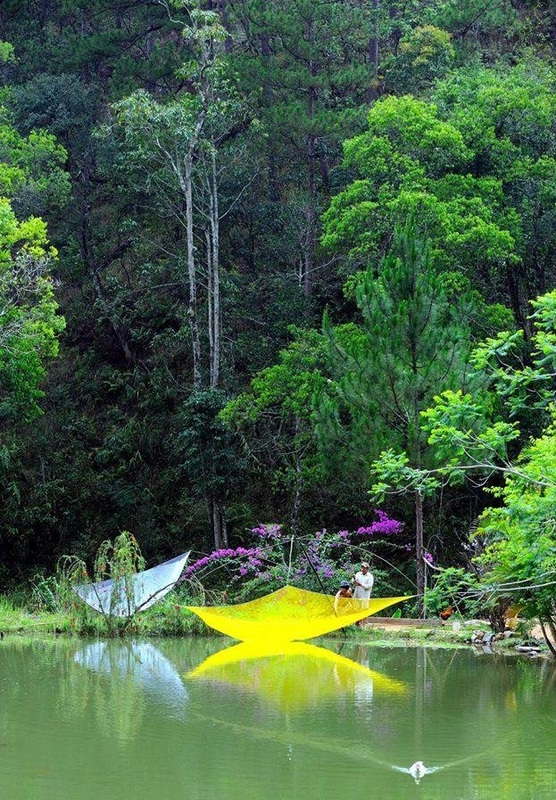 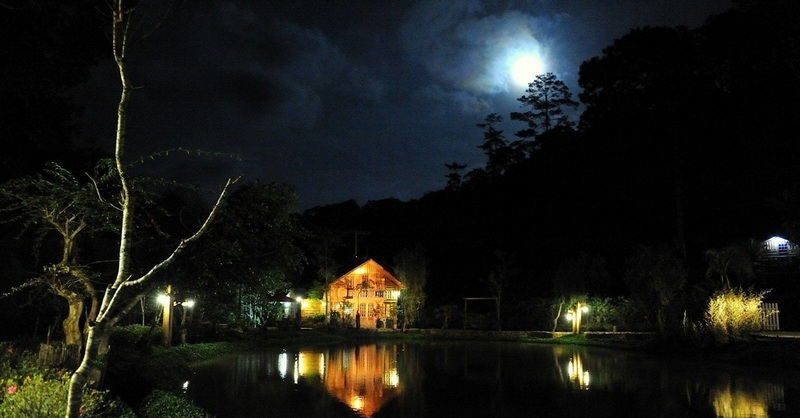 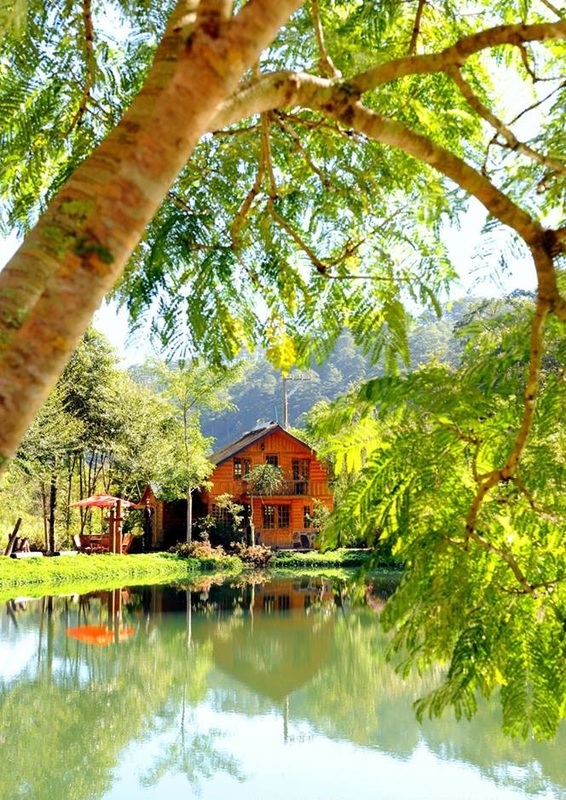 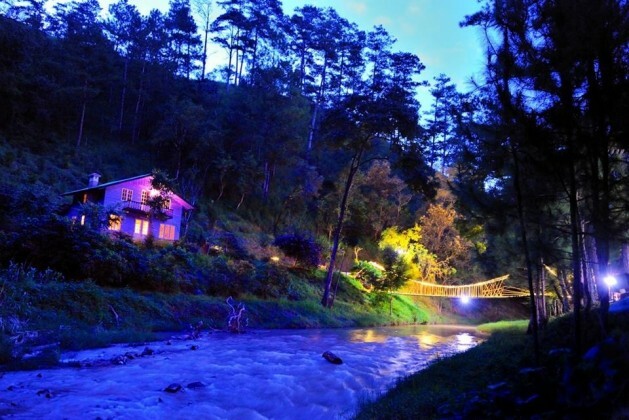 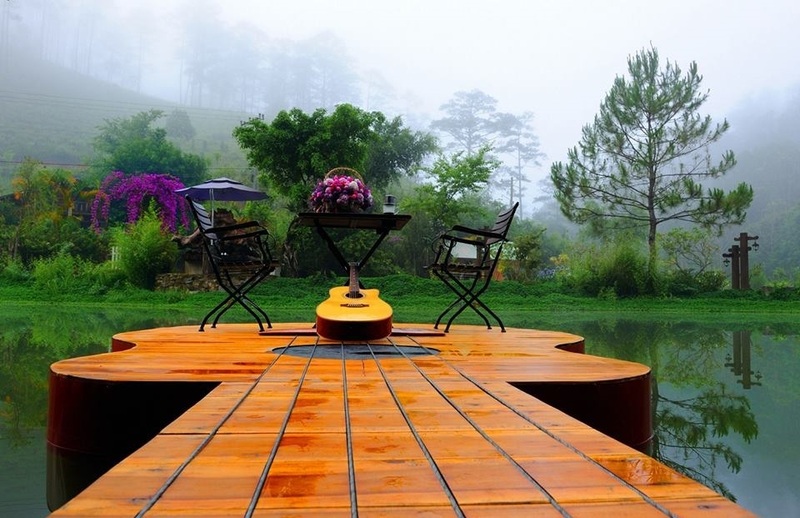 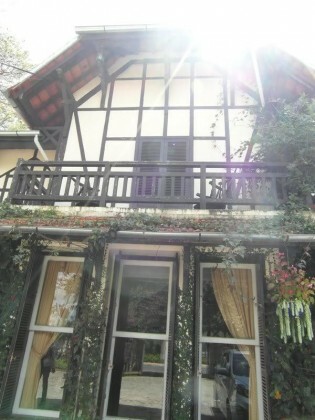 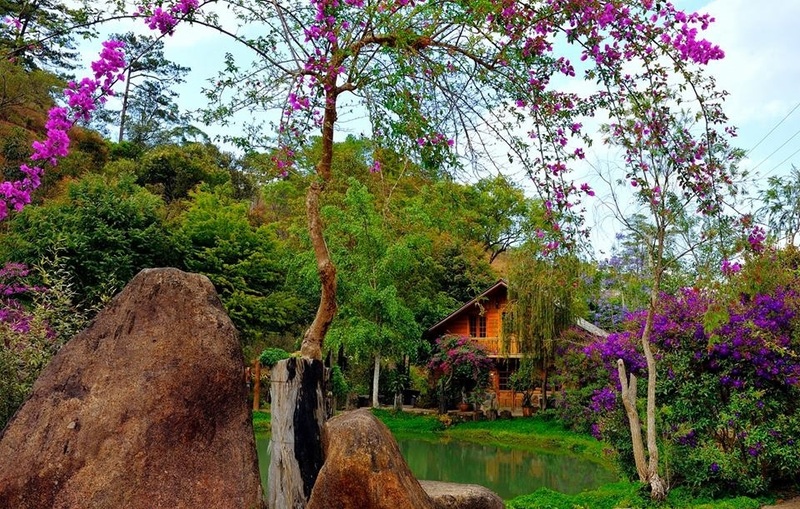 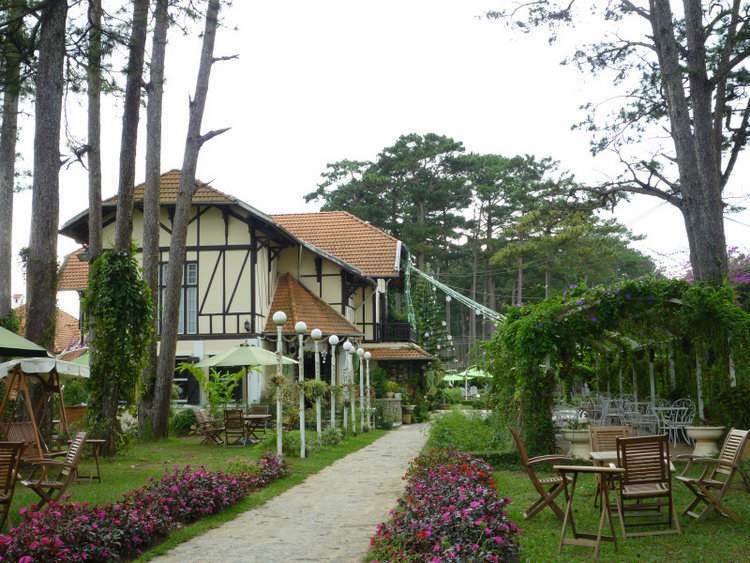 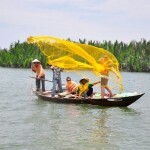 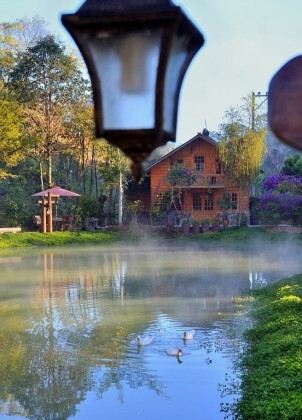 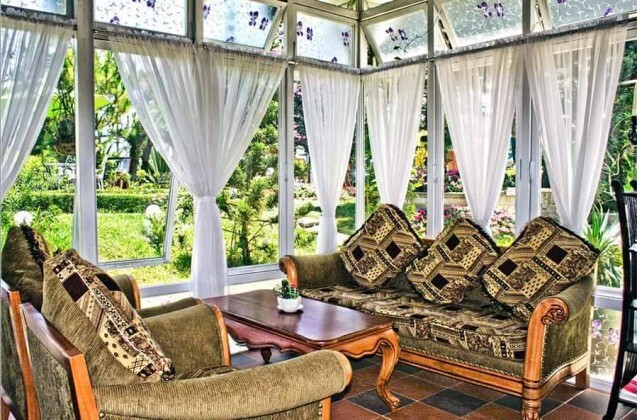 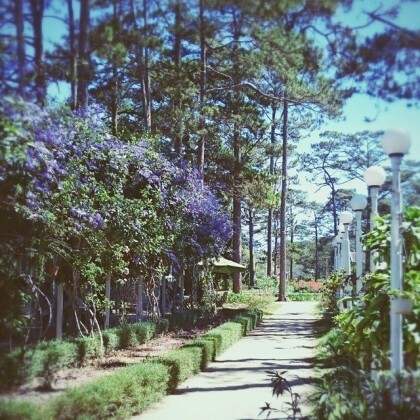 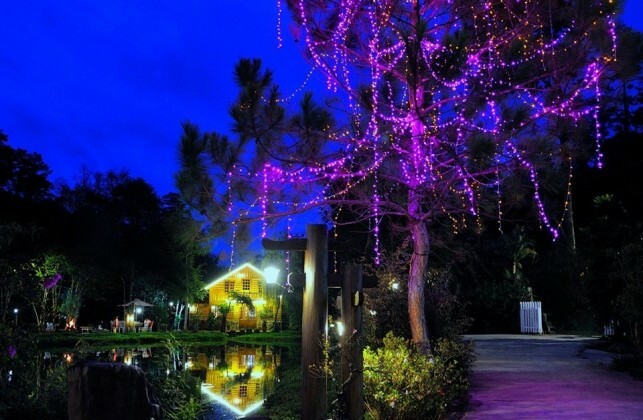 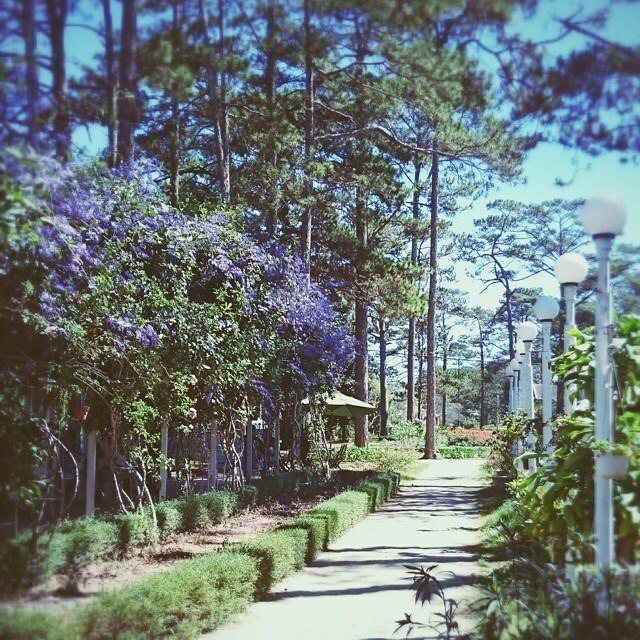 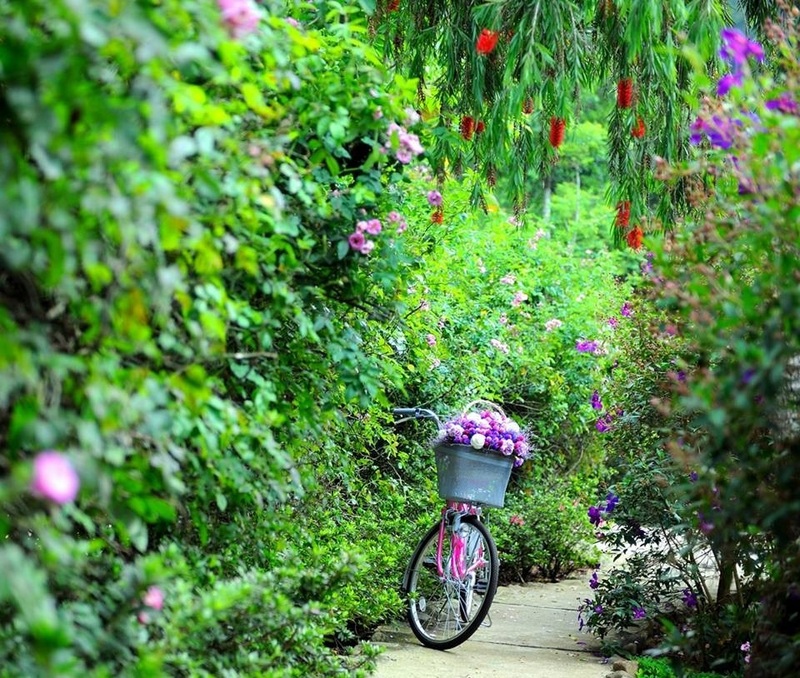 With extremely romantic atmosphere, Ma Rung Lu Quan now is a famous tourist attraction in Dalat. 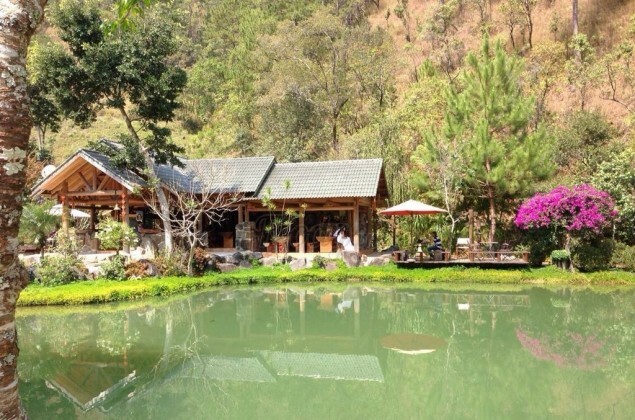 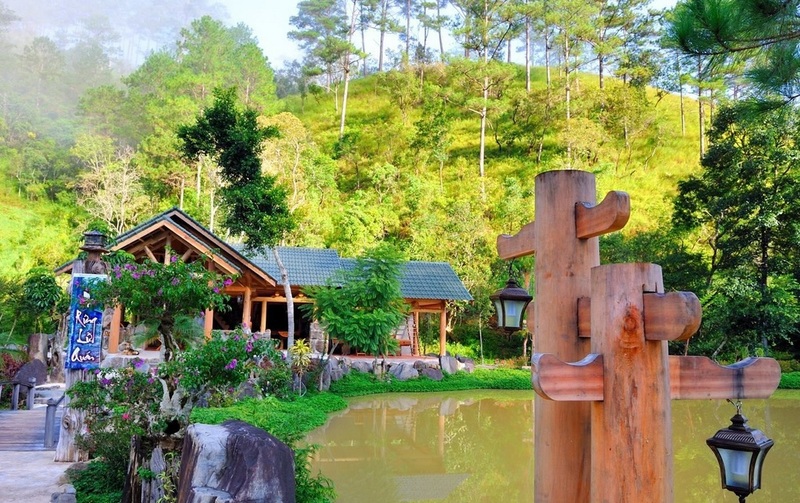 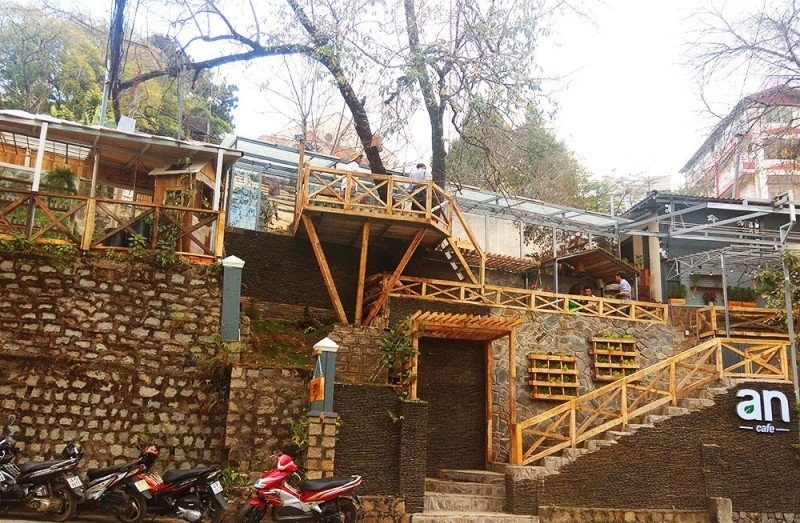 Despite being a tourist site, this place is still great for drinking coffee and meeting friends or dating, especially with young couples who like to explore the unspoiled scenery. 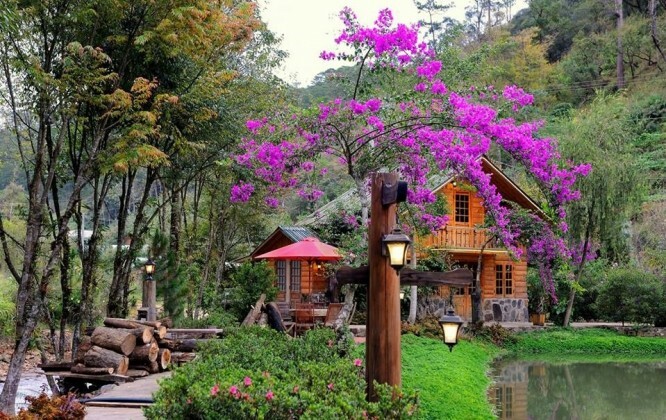 When you finally get here, you will be lost in marvelous natural surroundings with the voice of the streams, with the small bridges across the springs, with the romantic purple house by the lake and the climbing roses blooming in sunshine. 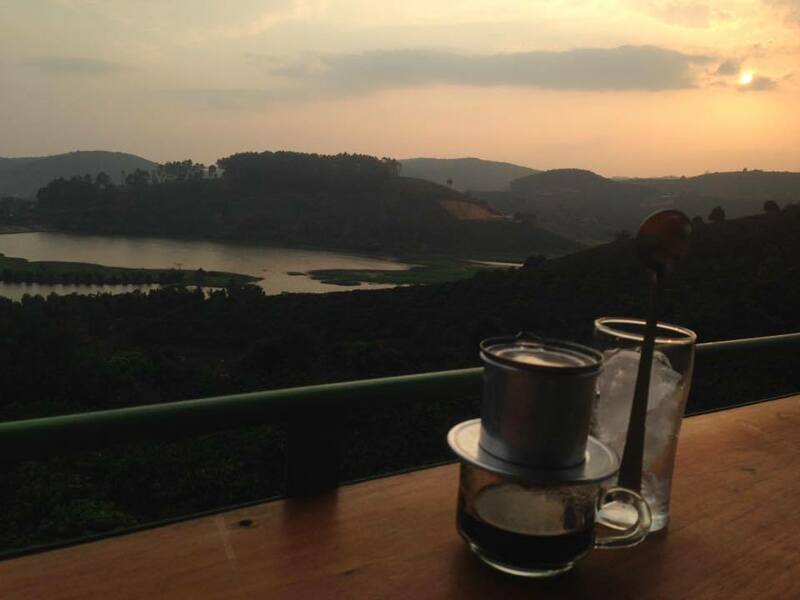 What can be more romantic than having a sip of coffee, sitting by a lake, hearing the sounds of the mountains and enjoying the fresh air with your lover.